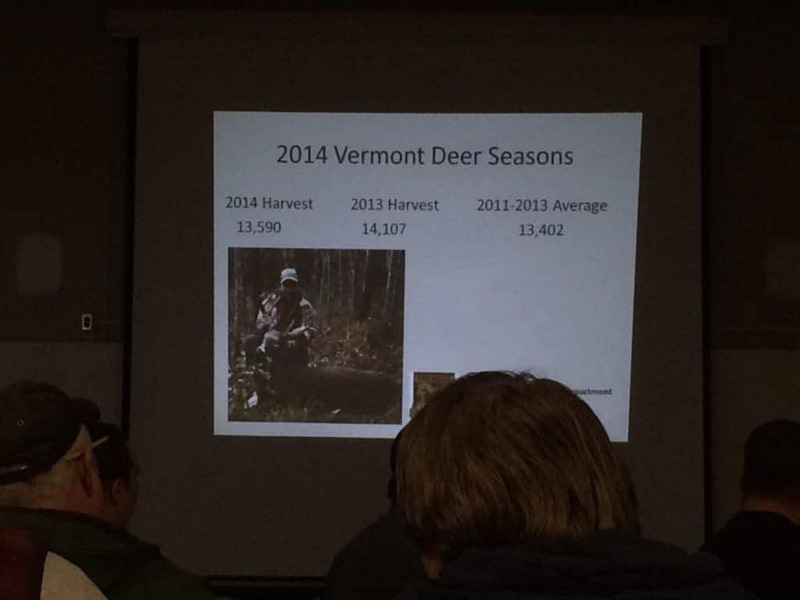 2015 Vermont Public Deer Hearing - the4pointer.com | Real Hunts. Unreal Stories. For what it’s worth I decided to summarize my thoughts after attending the Public Deer hearing in Brattleboro, VT last night. Much to my surprise there were no deer at the meeting, just hunters who wanted to debate different ways to kill them. Who named it Public Deer hearing? Talk about false advertising. Thankfully I’m easy going and found the debate interesting, even if it was between biologists and hunters instead of a herd of deer. The format for the evening was the same as last year. The meeting started off with a review of the moose and deer harvest reports followed by a short question time for people who needed clarification on some aspect of the reports. Next, a presentation was given on the proposed rule changes, followed again by questions for those who needed clarification. Then we broke into small groups to give our input on the proposed rule changes to the coming season. We were given 45 minutes for this and at the end of that time a group member summarized the group’s thoughts in front of the crowd and turned in the comment sheet all the thoughts were recorded on. Finally, the meeting closed with time for those in attendance to have the floor to themselves to speak their mind for two minutes if they so desired. Some rambled on for the longest two minutes I’ve ever experienced. If you are not aware, the Board has preliminarily voted to accept regulatory changes to the deer hunting season structure in a phased approach. Below are the proposed changes to the season regulations with my thoughts on them. Phase 1: changes to take affect this year if approved. Archery season expanded 10 days – 7 days added on to the front and 3 days added on the end of the season. My thoughts: I’m in favor of this although I would have preferred to see the season lengthened up to the start of Rifle Season so we could hunt bucks during the rut. It’s a good start and until it’s lengthened I’ll just head to NH where the archery season is 3 MONTHS LONG. I’m fortunate enough to live close enough to the border where I can do this but feel bad for the hunters in Vermont who cannot and are missing out on some great opportunities to hunt bucks during that time of the year. Legalization of crossbows for all hunters. My Thoughts: I am mostly neutral to the idea of legalizing crossbows for all hunters. However, I do not like the way it has been proposed by the Board (not by the majority of hunters and the Department). To legalize the use of crossbows for the entire archery season, extended dates included, does not seem like an intelligent move. I would prefer to see the use of crossbows phased in once some data has been collected on the number of hunters who use them and their success rates. Look, I don’t believe hunters from the Midwest will be flocking to Vermont to kill does and young bucks just because crossbows are legal. That’s not why I want to see a phased approach. 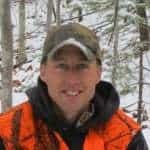 I want to see a phased approach because this will have an impact but the impact is unknown and it will be very difficult for the biologists to predict how their use, coupled with a lengthier archery season, will affect other management strategies – specifically doe harvest during muzzleloader. On top of that, we have had a rough winter on the heels of a buck harvest that was already below average. The season next year isn’t looking great (unless you are planning a hunting trip out west). So what to do? How about a compromise, eh? Start with a shortened season, perhaps 10 days, and require an additional tag for crossbow use. At least this way, the number of crossbow hunters can be tracked along with their success rates. If at the end of three years there is found to be no difference in harvest data then by all means, legalize their use for the entire season. If they are found to have a big impact then at least it was measured and damaged was minimized. Reduction in season bag limits for archery and Muzzleloader. My thoughts: Whatever. I’ve never come close to shooting 3 deer with a bow or shooting 3 deer with a muzzleloader. Limiting the bag limits for those specific seasons will have no impact on me, especially since my wife is just about over hunting season by the time Muzzleloader season comes around and my time in the woods is limited by then anyway. My Thoughts: I don’t hunt with them so it doesn’t affect me. However, I am not a fan of rules being made without concrete data to show it’s necessary. I wouldn’t mind seeing more information on this issue. Phase 2: A three year evaluation of the effects of the proposed regulatory changes. 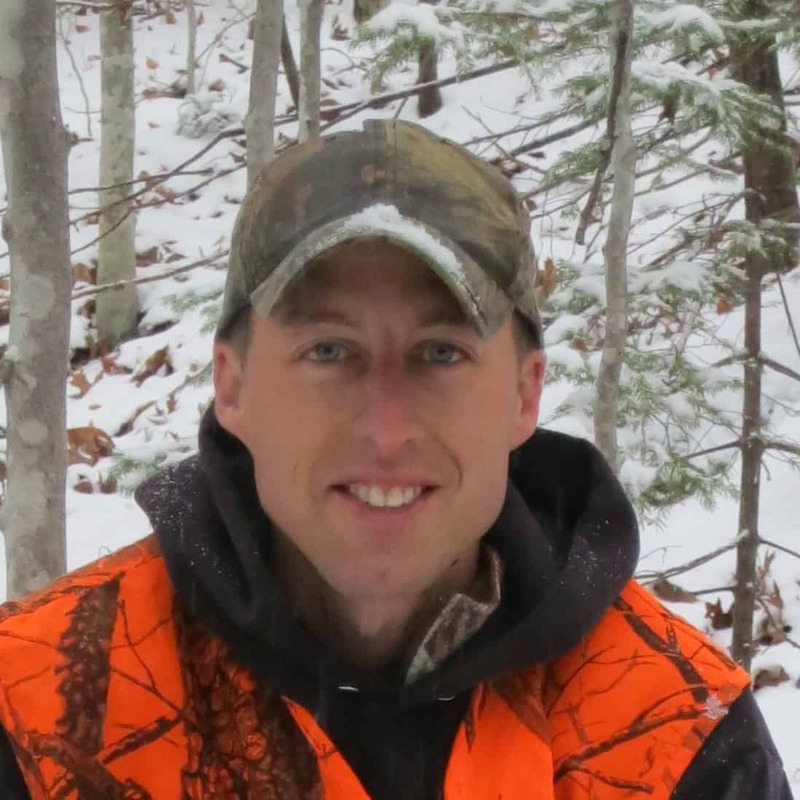 Monitor the effects of the regulation changes on the Vermont Deer harvest. Evaluate the potential for further changes to the season structure. My thoughts: I could go on for hours here but I won’t because I’m not even sure people are still reading this after my thoughts on being a game warden. However, I would say that this would be a great time to increase or decrease the crossbow usage after collecting good data during the three years. Further evaluate the effects of the current APR on Vermont’s buck age structure and antler development of older age class bucks. My thoughts: If you have read my previous article on the spike horn you know that I raised my own concerns on the effectiveness of the spike rule a year ago. (Read that here) I agree that there are red flags that should be monitored and I am OK with waiting three more years as long as there is a plan in place to collect data so an informed decision can be made to either do away with the spike rule or implement a 3 point APR. It would be a mistake to push off the changing the APR for three years and end up right back where we are today. If the Department were to outline what they need in order to make an informed decision and how they plan on obtaining that information it would be easier to support this three year waiting period. The argument against the red flags and to wait another three years has been the small sample size of buck data that has been collected. It seems logical to think that in order to make an informed decision three years from now that more data will need to be collected during that time frame. In order to do this it will require more time, effort, and money. It’s more work. The collection of the data must also be controlled. For instance, Joe Hunter down the street who claims to have shot a 243 pound 10 year old buck (aged on the hoof because he’s an expert) is not exactly reliable data. Also, it must be done where a complete cross section of data can be collected, such as a check station. So, to step up collection efforts trained workers will be needed as well as specific collection times. I think this can be done through a volunteer program where hunters like you and me could take a short training class to learn the necessary data collection methods and be certified to help out. Just a thought. That will also give the hunters some ownership in the process and understand the effort that goes into data collection. That’s all I’ll say about the Antler Point Restriction for now. After all of that important stuff was discussed people were allowed to express their individual feelings in front of the group. That was interesting although I almost fell asleep during a few of the comments. Crossbows were a big topic of discussion with a wide variety of opinions stated. Some want it, some don’t, and some are in the middle like me. Others wondered why if the majority of hunters don’t want it and the Department has cautioned against such comprehensive legalization then why did the Board vote to give preliminary approval the way they did. Valid point. I also heard comments from multiple people stating that they have never been surveyed by the Department so they wondered where all of the survey data was coming from. This seems to be an annual subject of conversation. I’ve heard from people who have received and taken the survey before so I know the whole thing isn’t a hoax. I think the root of the issue is that people feel like they don’t have a voice. My suggestion? Open an online reporting tool so every hunter can report what they see in the field. Each day hunters can log in with their ID number and report what WMU they hunted in, the number of deer they saw and the hours hunted. This would solve a few issues. First, I wouldn’t have to worry about keeping track of the survey card and neither would other hunters. Second, since it would be computerized I would imagine this would reduce the work load on the poor department intern who is tasked with tallying up all of the survey cards by hand. Third, and most importantly, each hunter would have the opportunity to report what they see and could no longer complain about never receiving a survey. Whether or not they do it is up to them. I was surprised at the lack of 3 point AR talk last night. It was mentioned a few times but not widely discussed, at least not in front of the group. Many hunters voiced that they would like to see more deer. Last year I only saw one deer during rifle season. Fortunately he didn’t see me so that worked out well, for me at least. Not for him. (Read that story here) But I do know how those hunters feel. In the previous year I spent 60 hours in the woods during rifle and muzzleloader and only saw five deer and the years before that were not much different. This is partly due to where I hunt, but ten years ago I saw a ton more deer in the same area. I used to expect to see a deer, now I am surprised when I do. The herd has simply not rebounded like it was before the wretched winters in the early 2000’s. That’s my story but I know others see a lot of deer so it depends where you hunt. At the end of the night I felt the meeting was run very well. The Department did a great job of collecting our thoughts and letting people voice the way the feel. The reality is that not everyone will get what they want. Think about it – there are four proposed rule changes for this coming year, 66 hunters were in attendance last night and I heard 982 different opinions. So, to the Department, thank you for taking the time to hear us out and I wish you all luck as you sort through all the opinions. I think that about sums it up. I could go on but I need to go shop for a pair of suspenders. How else am I going to hold up my game warden belt next Halloween? People, let’s try to keep deer hunting fun. Please. Thank you for reading this post. I really appreciate it. If you haven’t taken the time to subscribe to The 4 Pointer for email updates I invite you do so. You can do that here: Subscribe You can also give me a like on Facebook. After all, isn’t that what Facebook is all about? Do that by clicking here: Facebook. If you found this article interesting please share it with your friends. Thank you!